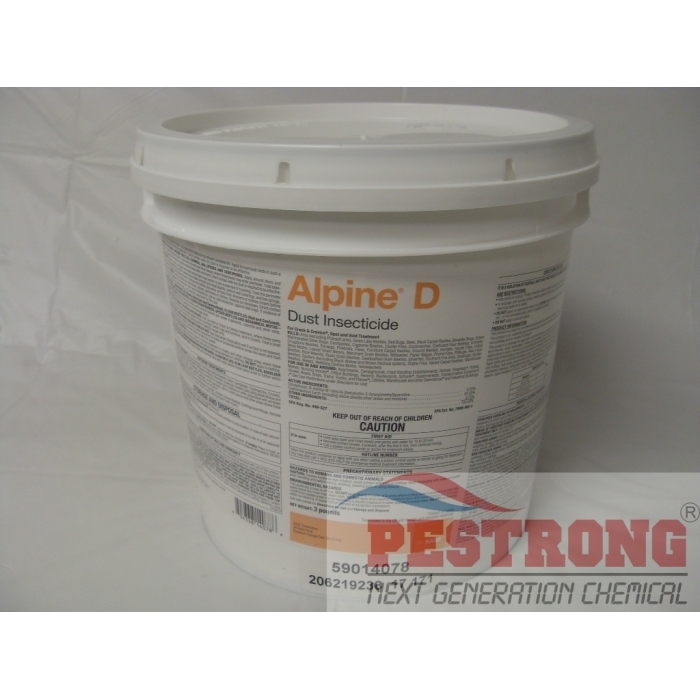 Where to Buy Alpine D Dust, Alpine D Dust Insecticide - 3 Lb - $61.23 for Sale with Fast Free Shipping! Alpine D Dust Insecticide - 3 Lb is the industry’s first and only Reduced Risk nonrepellent dust for long-lasting, broad-spectrum control of crawling and flying insects. Alpine Dust is part of a family of Prescription Treatment® brand Alpine insecticides that also features Alpine ant and termite foam and Alpine pressurized insecticide. All three products contain the active ingredient dinotefuran, a new nonrepellent to the pest control industry that the EPA has granted reduced-risk status for public health use. * All Alpine formulations contain the active ingredient dinotefuran, a new nonrepellent to the pest control industry that the EPA has granted reduced-risk status for public health use. I find alphine desirable over other insecticides, it controls almost all pests I have to face without having them go berserk lasts for long, long time and it's suppose to be healthier over most of the stuff out there.